Now how are you feeling? 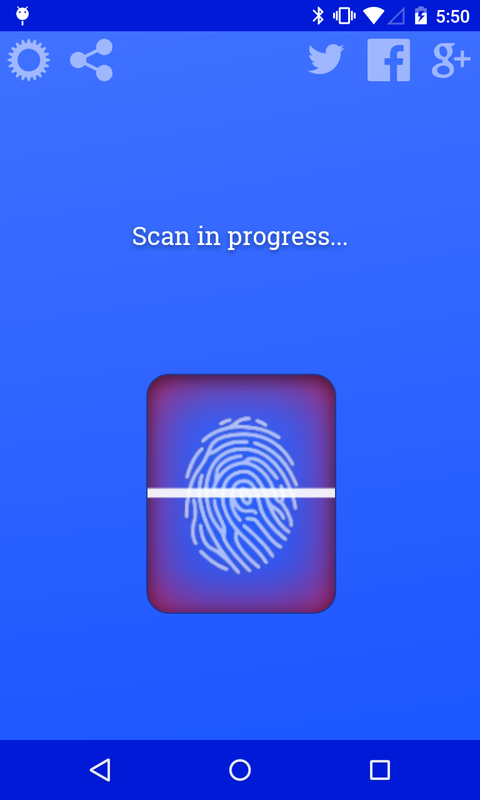 Find out with this mood detecting fingerprint scanner app! Mood Scanner 2 is a fun novelty app that tries to determine what your mood is based on a thumb print scan. It is a great app for parties, showing to friends, or for impressing the ladies at the club. 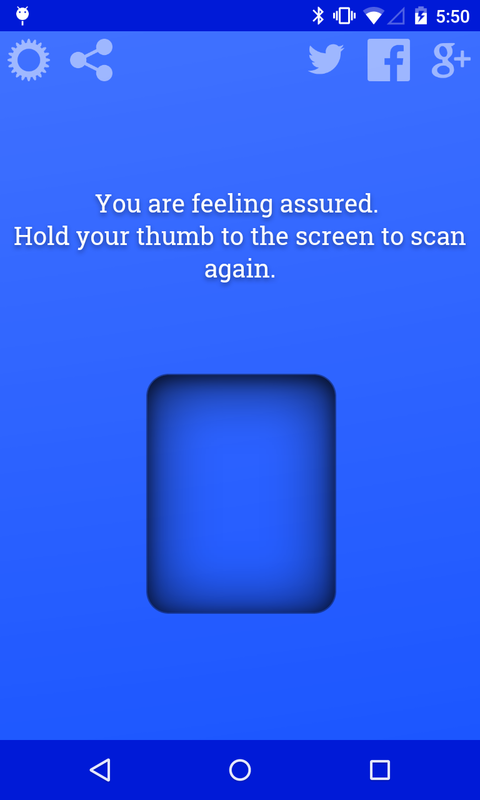 Simply place your thumb on the scan pad, wait for the fingerprint scan to complete, and see what your mood is. It features three speed setting options, and even lets you set a custom response if you want to play a joke on your friends. So if you are looking for the best mobile mood scanning app available, download Mood Scanner 2 today!